I found a new recipe! 2 eggs 2/3 cup of sugar 1/3 cup of brown sugar 1/2 cup of oil 1/2 teaspoon vanilla 1/2 teaspoon salt 1/2 teaspoon baking soda 1 cup sour cream 1 cup frozen berries. I used a combination of blackberries, raspberries and blueberries. 2 cups flour Preheat oven to 400°. Beat eggs, add sugar and oil. Mix in vanilla, salt and baking soda until combined. Then add 1/2 the sour cream and mix well. Add 1/2 the flour and mix well and continue alternating until all ingredients have been combined. Gently fold in berries. 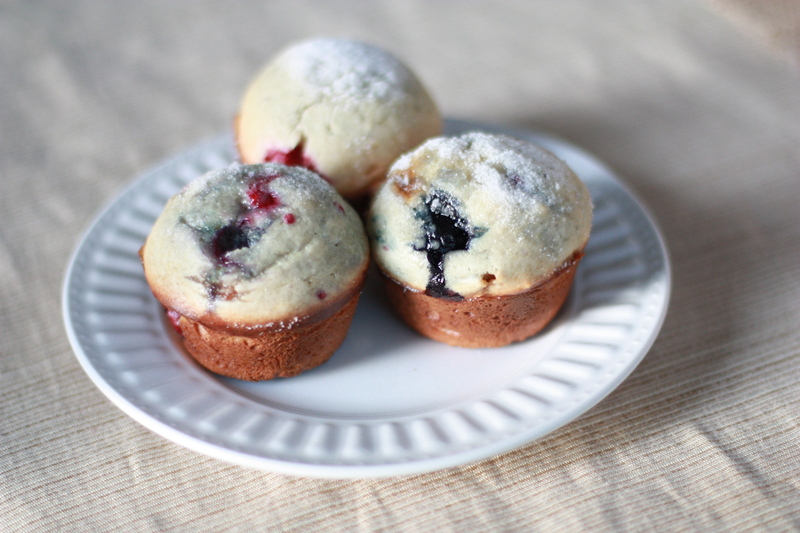 Pour into greased muffin tins and sprinkle the tops of the muffins with sugar. Bake for 20 minutes. Makes 12 muffins. (Original Recipe found via Pinterest) The sour cream in this recipe makes for a really great texture and a very moist muffin. It ain't healthy, but it sure does taste good! 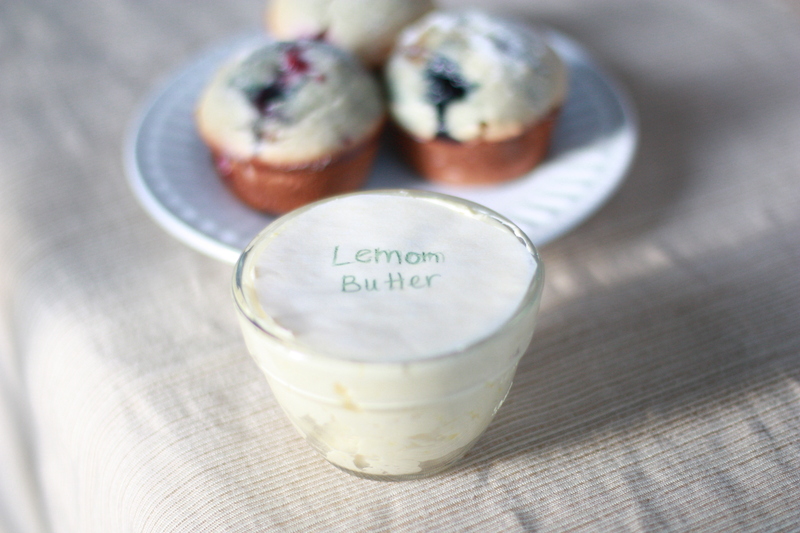 I also made a little lemon butter to go along with the muffins. It's really simple but added a special touch. Take 1 stick of butter (softened), the zest of 1 lemon, and the juice from a 1/2 lemon and whip until evenly combined. And the most important part....enjoy. I was lucky enough to try these. And are they GOOD! I’ve made these in the past amd they are awesome. Now I’ll have to try it with the lemon butter..yum! Looks delicious! I am going to have to try this recipe soon. Thanks for sharing! 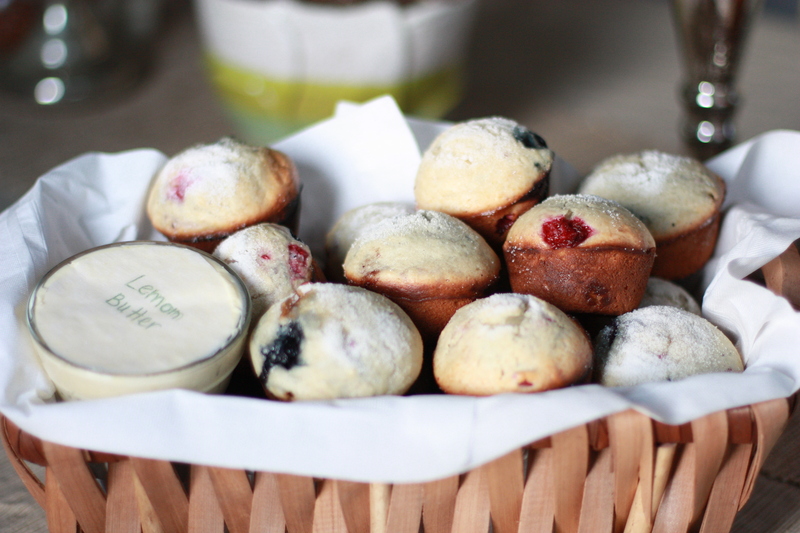 I can verify that these muffins are scrumptious! Especially when your diet doesn’t allow them! 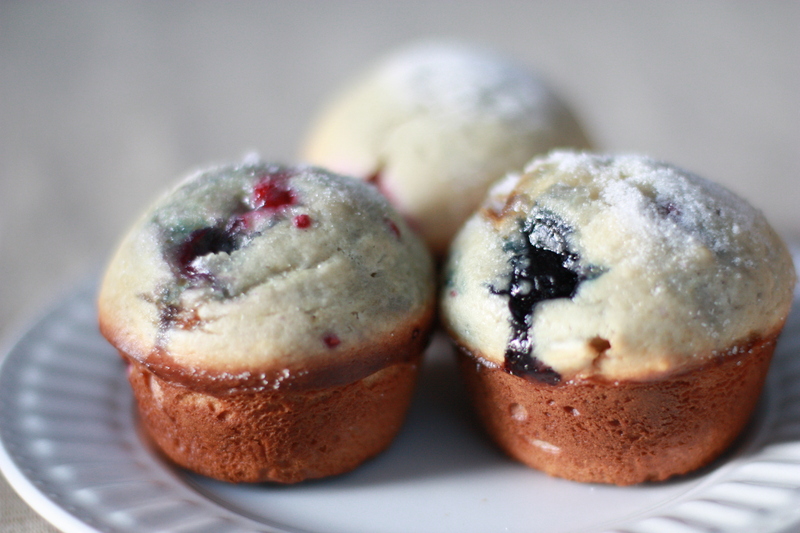 Thanks for the recipe…I’m making them for someone today!